Search engines' rankings algorithms become more complicated but their approach to backlink estimation stays unchangeable--quality dominates quantity. Even if there are thousands of backlinks that are coming to your website, they are not necessarily transferring desirable link juice and boosting your ranking. If a large number of your backlinks are considered spammy, your link profile can be negatively impacted. 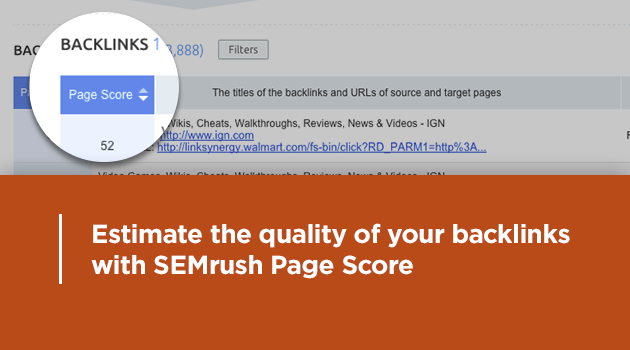 To help you estimate the quality of your backlinks, SEMrush now shows you each backlink's Page Score. Go to SEMrush → Backlinks, and generate the Backlinks report for a domain, root domain or URL. You will get a list of inbound links sorted by Page Score (0-100) in descending order. The higher the number, the higher the quality of the backlink. The Page Score metric (1) is calculated based on the classic Page Rank formula. Also, the more often we calculate the Page Score, the more accurate this metric becomes. 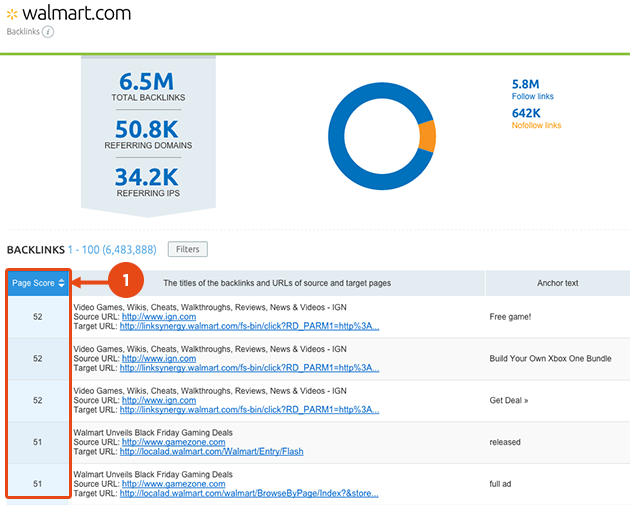 SEMrush’s Page Score feature is now in beta version. To improve it, we’d love to get your feedback. If you have any comments or suggestions, please send them to [email protected].